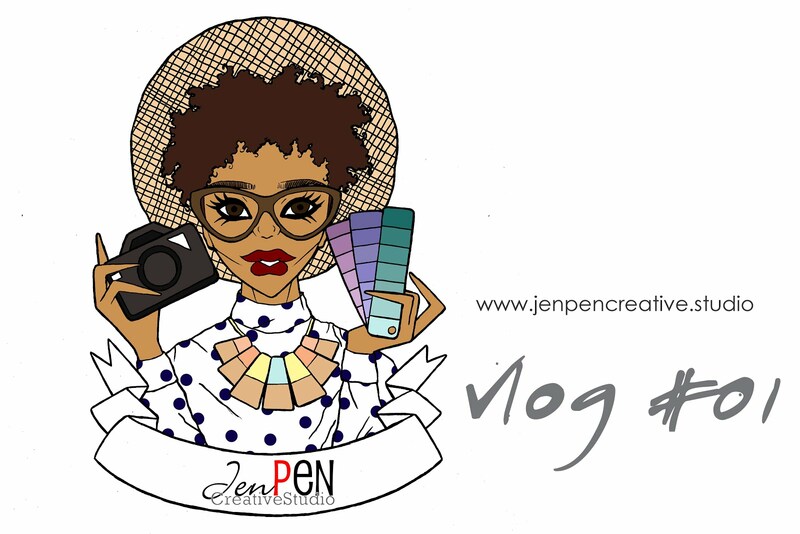 So you're tired of cleaning the 3-bedroom house or appartment. It's to huge to handle, so you decide you want to live in a smaller space. Cause...heck yeah, it saves you money. But searching for a smaller apartment can be a pain, so why not think about other alternatives. 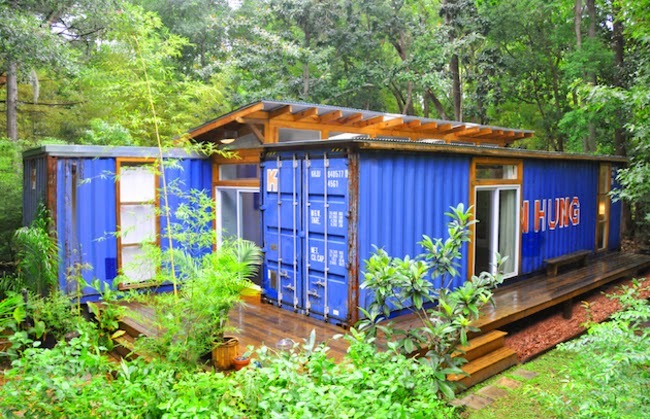 How about living in a shipping container? I say Heck Yeah!! 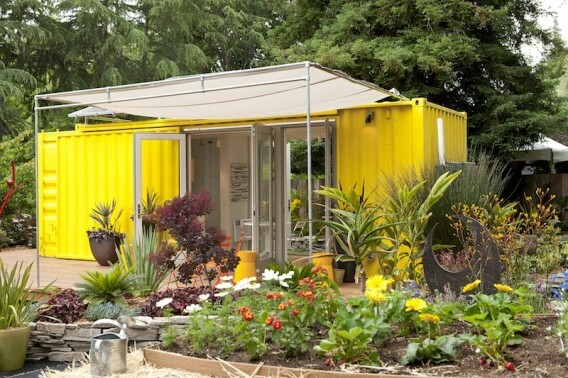 It's pretty awesome how they turn a container, that's so not attractive, to a beautiful liveable home. Some of them are even larger than a normal brick house. 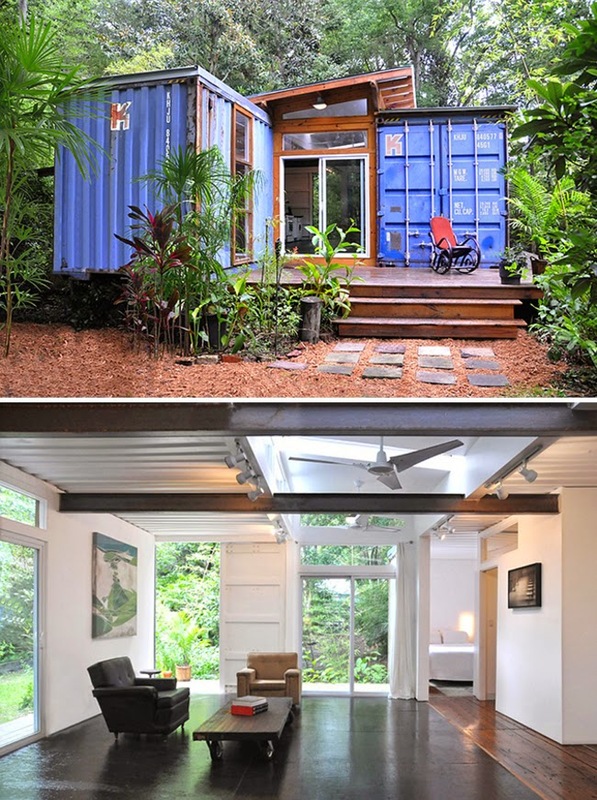 But in this case that you're downsizing your life style, lets check out some small creative beautiful container homes. I'm not a big fan about the outside of this container home. I guess if they repainted it, it would be more flattering. BUT if we take a look inside...OH MY WOW. It's like huge (yes, I'm still looking to downsize in this concept), but it isn't. 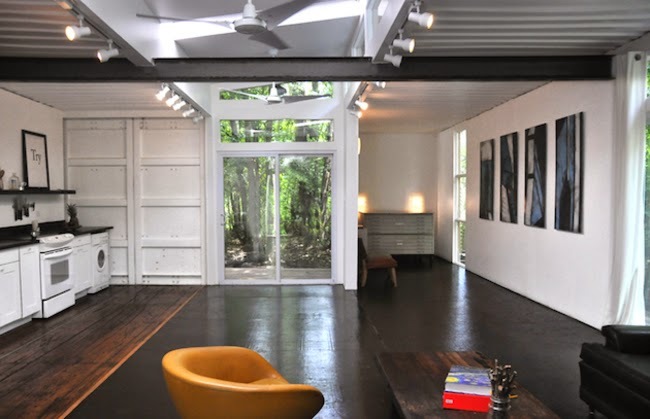 The white walls makes the space look bigger and it is in great contrast with the dark wooden flooring. 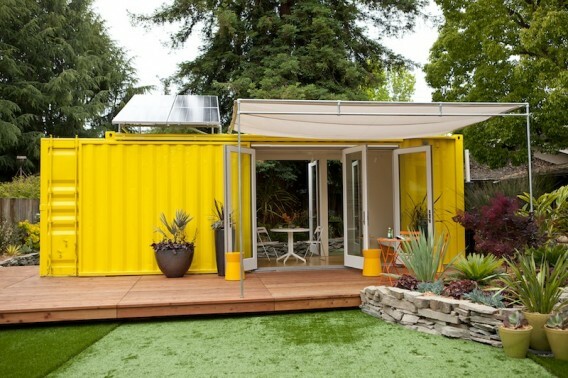 It's a combination of 2 containers, making it a spacious but reasonable great living space. 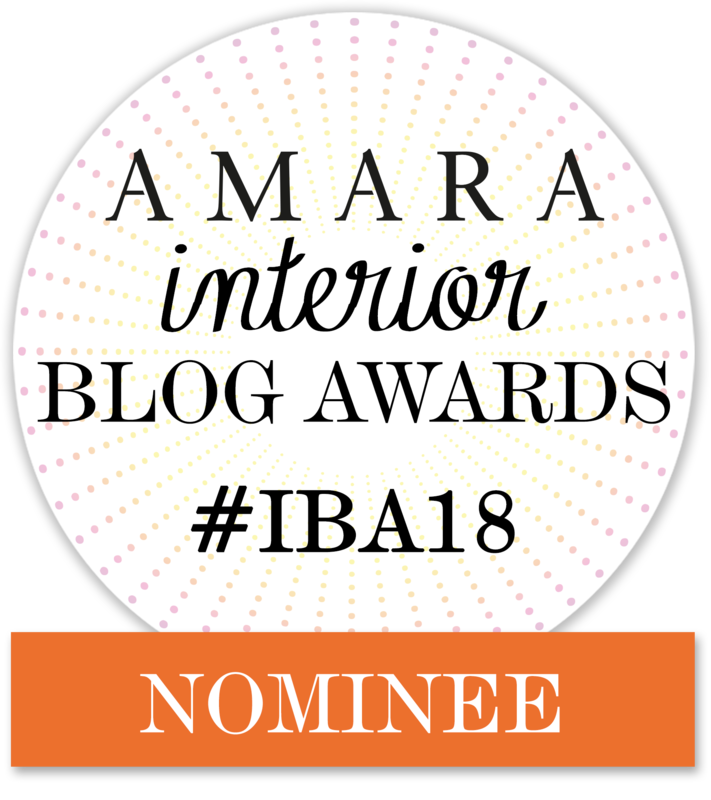 This home I had yesterday on my inspirational pins to jump start my week. It's painted in one of my favorite color:Yellow. It's a small container, but up to 4 people can sleep in it. And you can't go yellow without going GREEN. The solar panels make use of the biggest "yellow": The Sun!! Making the energy bill go way down. So two thumbs for this yellow home. Do we really need a lot of space to live? Actually no. 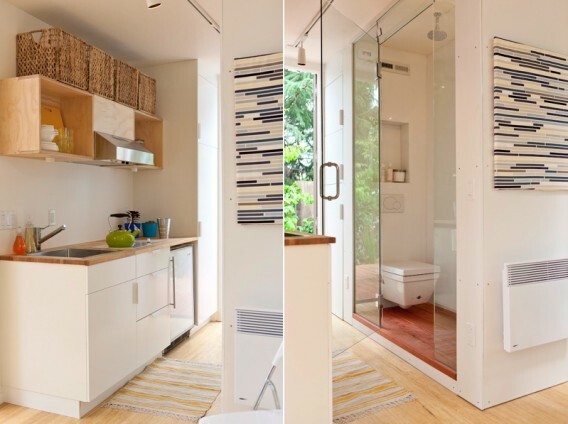 Do you live in a small space but your inside is well organized that it seems very much spacious? Do share.